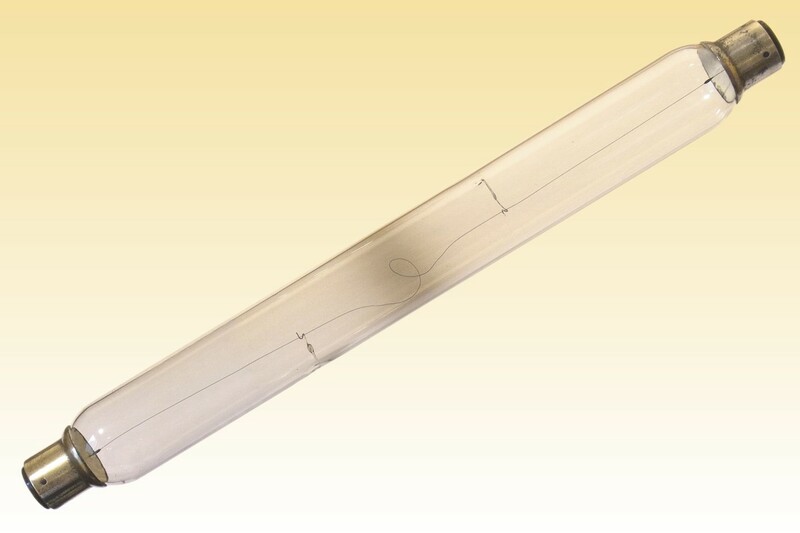 Although double-ended incandescent lamps existed since the 1890s, they only became popular following Alfred Beuttell's 1901 invention of the "Linolite" system. 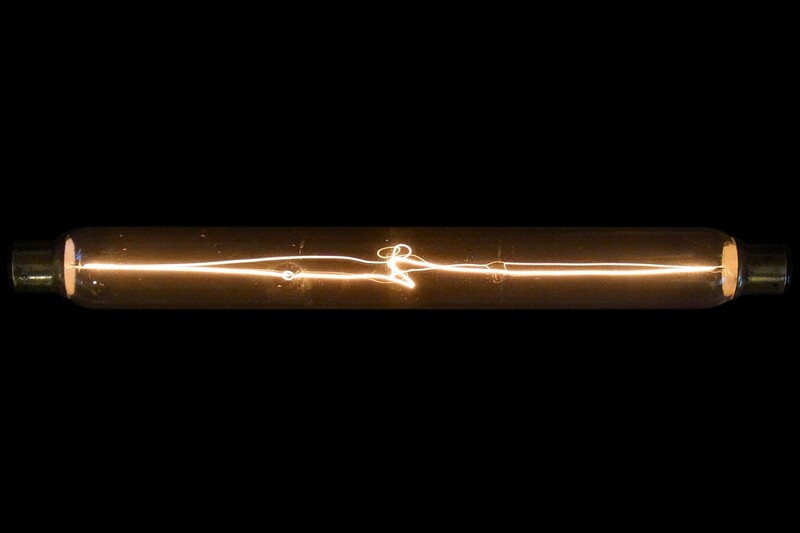 He developed an arrangement of lampholders mounted end-to-end and lateral reflectors that allowed the creation of semi-continuous lines of light. The result was improved uniformity of illuminance over the area to be lighted, which was of particular value in shop windows, display cases, and the lighting of signs and paintings. The low profile of the system was also especially advantageous in concealing the light sources from view. The concept quickly grew in popularity in Britain, and is some continental lands, particularly France and Germany. In 1907 Beuttell founded the Linolite Company of New York, whose products were manufactured by the Johns-Manville company and later taken over by Westinghouse. The lamps were produced in England by the Edison & Swan company under their trade name "Tubolite". 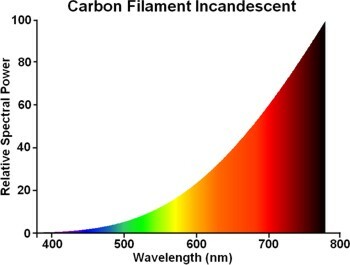 The filament is of carbon and is maintained in an axial position by a pair of metal support wires fused into the bulb side. 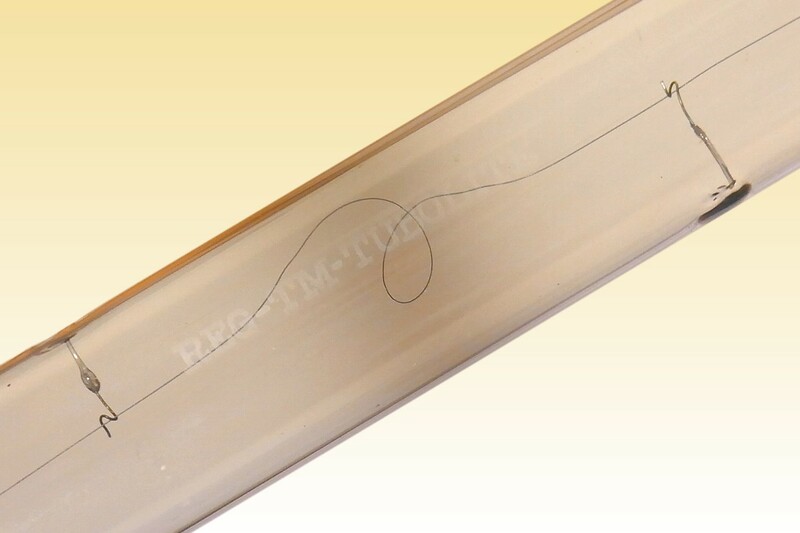 The filament also features a small loop to absorb thermal expansion and prevent bowing when lighted - but bringing a drawback of increased brightness at the middle of the lamp. 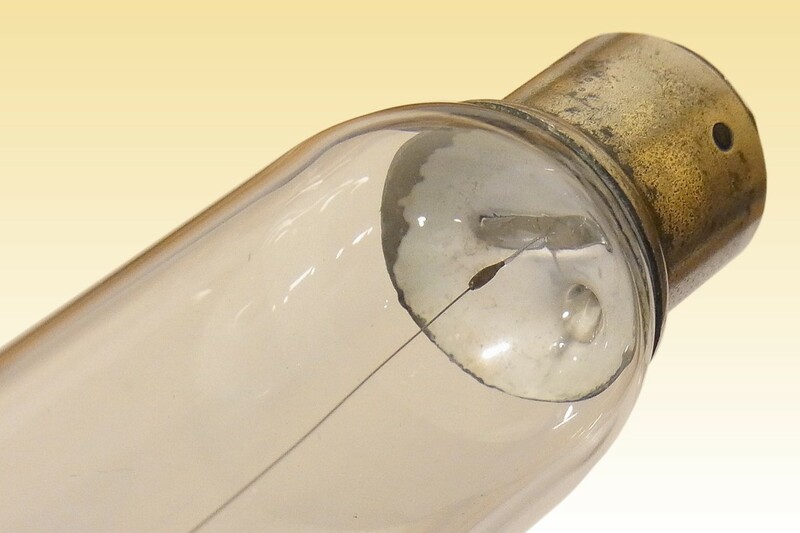 The ends of the bulb are pinch-sealed around platinum leadwires, and adjacent to one seal is an exhaust tip, hidden under the metal cap. The British lamps are considerably safer than the European pattern, thanks to the electrical contact being made to a small insulated disc at each end. 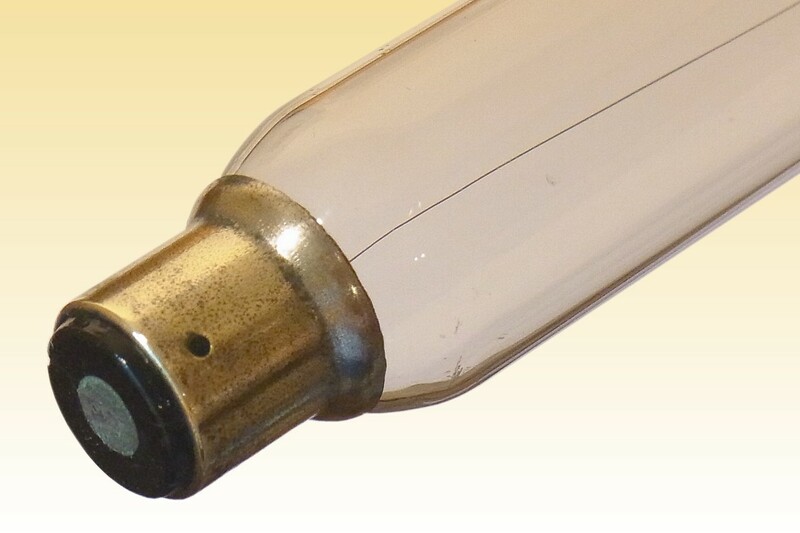 With continental versions the entire cap shell is live, presenting an increased risk of electrocution if one end is held while the other is inserted into a lampholder. 3) History of Linolite Ltd.
6) Linolite Incandescent Lamp at Smithsonian National Museum of American History, U.S.A.